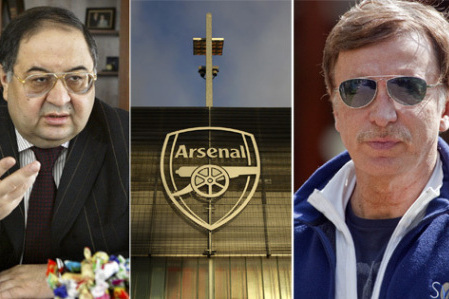 Arsenal shareholder Alisher Usmanov recently made approaches to Stan Kroenke regarding his majority shareholding, in a bid to oust the American and take the reins of the club. As we all know, it was entirely unsuccessful. The Soviet-born steel magnate currently has just over 30% of the shares at Arsenal, but ever since he and Red and White Holdings Ltd started making their interest felt, Usmanov has been outspoken regarding his own views surrounding the way the club handles investment – or a lack of. Now, Usmanov has carried his aggressive business leanings into his football interest, with a bid for Kroenke’s large lump of the club. Kroenke rebuffed Usmanov’s advances, but his statement regarding his future with the club ruffled fan’s feathers with its ironic taste. The American maintained his long-term interest in Arsenal and how he wants to ensure Arsenal are a force not only in the Premier League, but Europe. Seeing as we are further away from this ill-timed statement than ever, Kroenke could have worded this confirmation of longevity a bit better. The bid from Usmanov was rumoured to be around the £1bn mark, which not only would give Kroenke a bountiful profit margin, but it also serves to highlight how well Arsenal have performed on the business side of things, as the club was valued at just over £700m when Kroenke took over. The main thing to take from Usmanov’s sudden moves for power is that he remains open to negotiations. As the mood sours towards the KSE group – much like at their other shareholdings in the NFL, NBA, MLS and NHL – could fan power tilt things towards Usmanov? Perhaps, but it would help if Kroenke actually turned up to games to taste the negativity towards his ownership. Usmanov was once viewed as a megalomaniacal, power-hungry chaos-bringer, but such is the way Kroenke has handled his ownership thus far, Usmanov’s enthusiasm is now starting to look like a more favourable option. Kroenke’s lack of investment in the club – whether you believe Wenger refuses to spend or not – and his insistence on taking millions in annual payments for ‘consultancy fees’ only add further to the vitriol aimed at him. Usmanov meanwhile, sits in the shadows and waits for his opportunity. The Board at this current moment in time need to make some big decisions, managerial and in business, but the ownership of the club has not been fruitful for Kroenke in terms of opinion from fans and experts. It seems as if Kroenke has bought these clubs that now sit on his wall like busts of his latest kill on safari, so he can boast of his financial prowess. 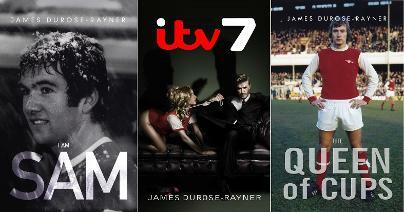 There is no sporting interest, there is no thirst to make ‘his’ club greater than they ever have been. He just wants a trinket. Usmanov at least wants Arsenal to prosper and operate on the plain that the European giants currently do. The way Roman Abramovich has overseen the transformation at Chelsea has shown that the business model Usmanov is offering can work. Now, the chessboard is primed for upheaval. The big moves have been made, but the game itself might drag on for quite some time yet. Fan power, if organised in the right way, could well prove to be pivotal. ‹ PreviousThe Ox Leaving Arsenal? This is a very humble plea for all real Gooners to stand together to get rid of Stan Kroenke and most of the board members. This American has no football interest. I don’t think he can even spell it. Alisher Usmanov is the way forward. We can be sure that Kroenke is not driving progress forward. Sometimes we blame Wenger yet the decision is not from Wenger, the owner is dictating on transfers, he does not know anything about football, he is pumping out all the profit, and Wenger is being paid a huge salary and bonus, as a result he kept on fooling supporters that, he will buy more players, and he does it every year, for Arsene Wenger and Gizidizi to defend the transfer deals is an INSULT to us as supporters and it does not make any sense, it is better for them not to comment about transfers. The underlying fact is that, thanks to our wage bill, we had a limited budget – yet Kroenke refuses to put a single penny of his enormous fortune into the club. The current valuation of Arsenal FC has nothing to do with Kronke’s stewardship and everything to do with the ballooning revenue from media rights which is driving up the value of every single Premier League club. I’m under no illusions regarding Kroenke, he’s added precisely nothing to our club and the value of our club has nothing to do with his work, or lack of. Kroenke need to go very far away from Arsenal,he’s a greedy man who doesn’t care about the fans that buys the ticket and other things that generates money for the club.In simple term he’s not a football man an needs to go,it’s time Arsenal fans begin to call for him to go. They already do my good fellow, but I don’t think he’s going to go anywhere.